Until recently, Laila and her family lived in a palace in an unnamed a middle eastern country. Her father was king and although they lived under threat from violent rebel factions, Laila believed her father was a good man in a difficult situation. A few weeks ago he was shot dead in a coup and Laila was removed to America by the CIA. Now she lives in a small apartment in Washington DC, with her hysterical mother and younger brother, "the king of nowhere". 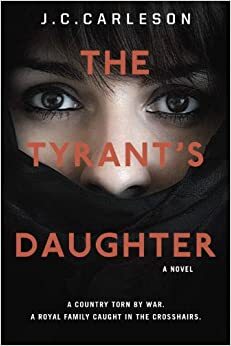 Laila has to make adjustments to her world view, not just to fit in at the local high school, but also to make sense of the father she loved and the tyrant she now knows he was. Her mother is intent on taking back the country, making deals with the CIA and rebel factions back home. But this all occurs in the background as Laila recreates herself as a Western teenager. She learns to drive, makes out with a boy and goes to a school dance. But Laila knows she wants to go home and after spying on her mother, she thinks she may know how. This is a taut and clever story about the innocent and not so innocent families behind the news reports. Laila's perspective not only shifts, but actually stretches to accommodate all the different people she needs to be. The ending is very satisfying and surprisingly hopeful. An interesting and different coming of age novel, with fascinating insights into international relations.